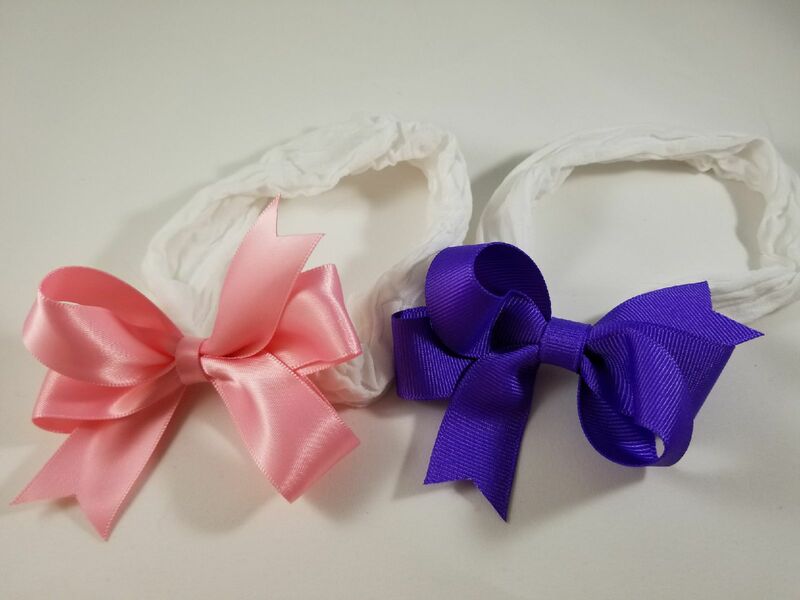 Small Bows are sewn onto soft, stretchy nylon headbands. The bow is about 4” across and created from 7/8” ribbon. 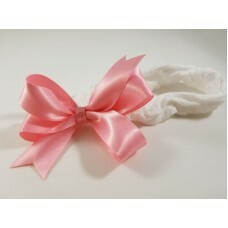 Grosgrain and Satin ribbon bows are available. This is a loopy bow and is balanced but not symmetrical by design for a more whimsical style. Small Grosgrain Bows are sewn onto soft, stretchy nylon headbands. 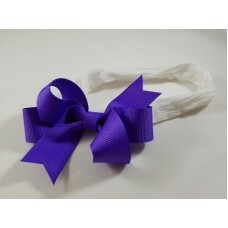 The grosgrain bow is about ..
Small Satin Bows are sewn onto soft, stretchy nylon headbands. The satin bow is about 4” acros..